The latest flagship smart phone from Samsung has been causing quite a stir amongst technology lovers! The Samsung Galaxy S6 has a sleek metallic design and ultra fast processor which is said to finally rival the almighty iPhone! In order to gear up its resident technology experts for the release of the Samsung Galaxy S6, Vodafone decided to lay on some informative training sessions at the Samsung head office in Newbury. As this is no run of the mill phone, Vodafone wanted to provide not just your average training session! The big bosses at Samsung gave Street Advertising Services a call and asked us to create something which truly encompasses new Samsung Galaxy S6’s explosion onto the smart phone market. We chose 3D Street Art as our weapon of choice and boy did it leave an impact! Here is the Samsung Galaxy S6 bursting out onto the streets and into the hands of the public! 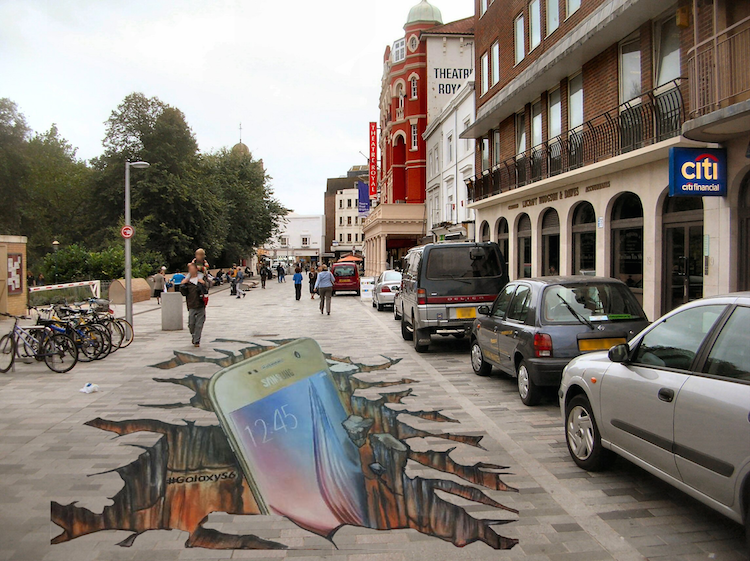 Oh and just so you know, 3D Street Art is not the only fabulous way to promote your technology! 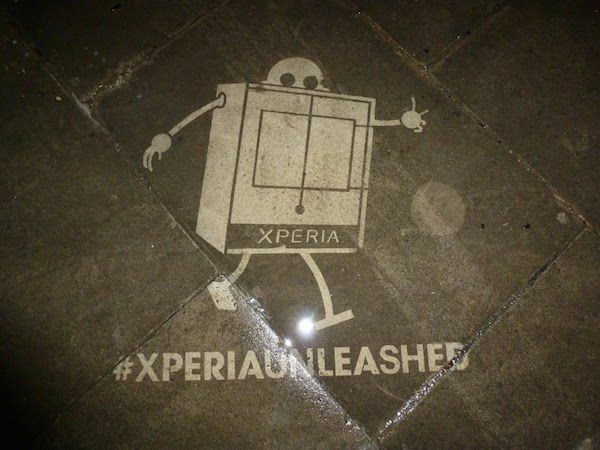 Check out our Clean Advertising for Sony Experia! Get in touch if you would like to know more about how we can make your event or product launch extraordinary! Trust me, you wont regret it!